Reawaken soft waves or tame hyperactive curls - perfect for mid-morning touchups (and evening revivals). Who: For all curl types looking to refresh curls throughout the day. 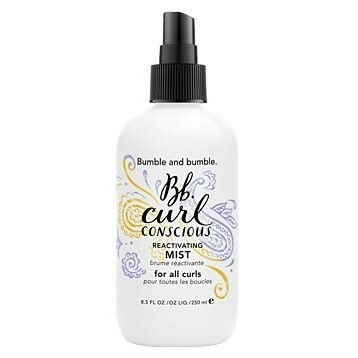 When: Mist anytime throughout the day to tidy and refresh curls (use last when layering with other products). How: Mist from roots to ends on dry, styled hair (anytime).